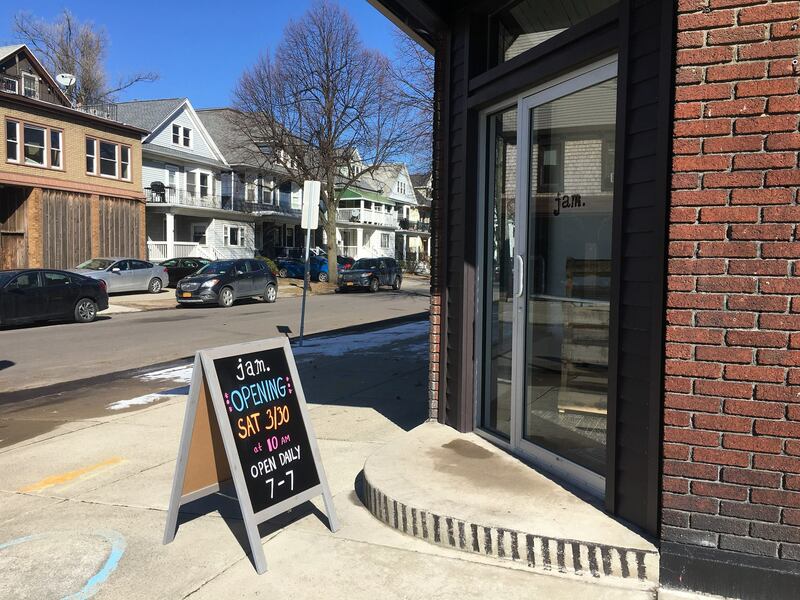 Coffee and community at the corner of Parkside and Russell starts Saturday, March 30! We’ll open our JAM Parkside doors at 10am that first day, and then daily from 7am to 7pm with our full array of coffee drinks powered by Tipico Roasters Coffee, along with a wide selection of teas and chai. We’re also proud to be partnering with Mundy Cakes to provide fresh pastries and muffins daily. Ithaca Yogurt, and of course toast with jam will also be on the menu with a few other surprises. With the help of friends and neighbors, it’s taken two years to grow this community-owned corporation to the point where we’re ready to start serving coffee across our custom bar crafted from reclaimed maple gym flooring by ReUse Action, and the day is finally here! 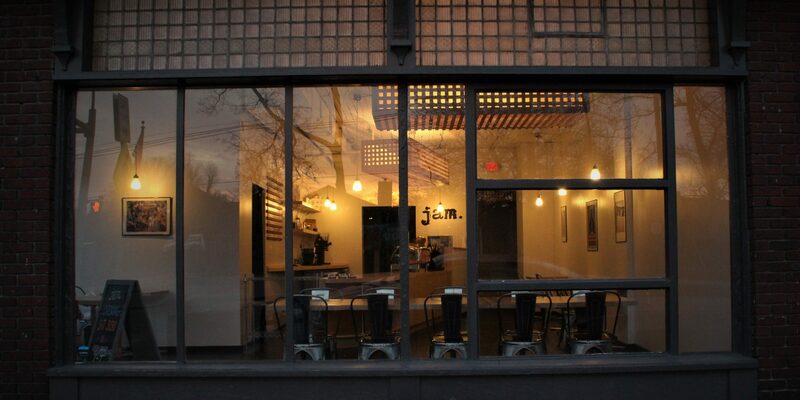 We invite you to join us for coffee and community at JAM, and be sure to let us know what you think.